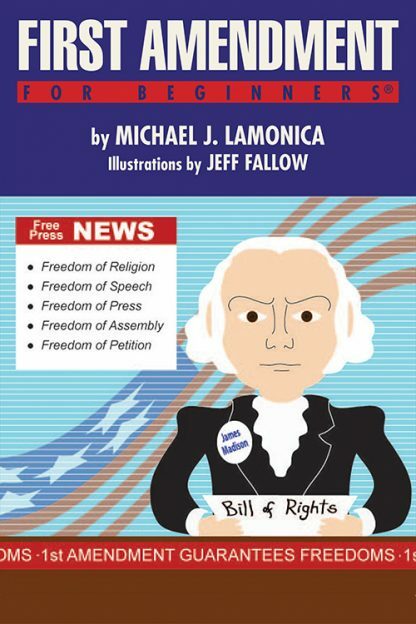 Join Michael LaMonica, author of French Revolutions For Beginners, as he takes you on a journey through the ins and outs of an amendment that means so much more than just freedom of speech. First Amendment For Beginners will explore some of the biggest cases ever to come before the Supreme Court and answer questions such as whether it really is okay to shout �fire� in a crowded theater, wear a T-shirt that reads �F**K THE DRAFT!� (without the asterisks) into a courthouse, burn the flag, burn your draft card, join the Communist party, sell nudie magazines, ban Ku Klux Klan marches, and publish confidential government secrets in a newspaper, to name just a few. The religion clauses are included too, with pertinent questions such as whether the First Amendment protects your right to use psychoactive drugs in religious rituals, marry multiple partners, or engage in animal sacrifice. The book also wades into the political maelstrom to examine recent controversies such as whether money really equals speech and if corporations have constitutionally protected rights to speech and religion. Whether you�re a court watcher, political junkie, history buff, civil libertarian, news enthusiast, or just curious about the most important amendment in the Constitution, this book is for you! Michael J. LaMonica is a writer, lawyer, teacher, and historian. He worked for 7 years in the Connecticut Attorney General�s Office and taught university classes part time before deciding to return to university himself as a PhD candidate.